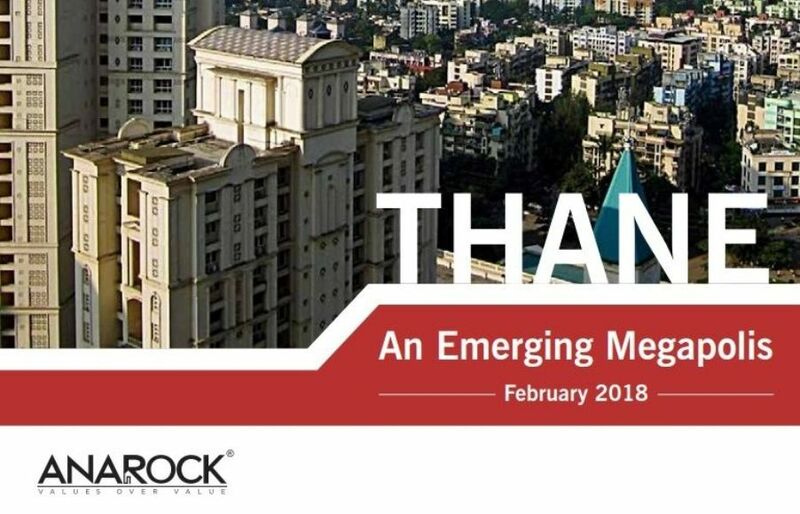 Mumbai, 8th February 2018: ANAROCK Property Consultants‘ latest research report ‘Thane – An Emerging Megapolis‘ highlights this city’s unstoppable rise to become one of the hottest real estate development and investment destinations in the Mumbai Metropolitan Region. Launched at the MCHI CREDAI Thane Property Expo today, the data-driven report vouchsafes that Thane, driven by specific micro-markets, has not only shed its previous ‘industrial’ image but become a stand-alone real estate boom city. ANAROCK’s report identifies the top locations in Thane which have accounted for 65% of the city’s overall housing supply between 2012-17. Micro-markets like Majiwada, Ghodbunder Road and Kolshet Road together contributed 71% of Thane’s housing supply in this period. The newly-emerging real estate hotspots of Vartak Nagar, Kasarvadavali and Bhayandarpada are now attracting both end-users and investors because of their massive inherent growth potential over the next 3-4 years. ‘Thane – An Emerging Megapolis’ delivers a clear verdict – this city is by no yardstick any longer just a ‘distant cousin’ of Mumbai. Today, its excellent physical and social infrastructure and the presence of major office complexes and shopping malls make it one of the most preferred residential precincts in MMR. On the real estate investment rationale, Thane’s clear USP is the availability of sufficient land parcels for future development. The ability for spatial expansion gives cities like Thane and neighbouring Pune a competitive edge over the severely space-constrained regions of Mumbai. The ANAROCK Group is one of India’s leading real estate services company with business interests diversified across the entire real estate value chain. The Group’s Chairman Anuj Puri, an acknowledged thought leader in the Indian real estate industry, is known nationally and globally as one of the most respected experts on India’s extensive real estate opportunities. With 27 years of industry experience, Anuj Puri was formerly Chairman & Country Head of international property consultancy JLL India. The ANAROCK Group’s key strategic business verticals comprise of Residential business: broking & advisory services; Investment business: debt, equity and mezzanine funding, and its Research & Consulting business. ANAROCK’s residential business team consists of the industry’s finest residential real estate professionals who understand ever-changing consumer needs and market trends. Our experience and expertise, gained through serving some of India’s most reputed developers, corporate houses, portfolio investors and individual investors, make us the unchallenged residential real estate market leader in India. ANAROCK’s Investment arm has built a revolutionary business model of bulk-purchasing residential apartment inventory through a proprietary investment fund. ANAROCK is committed to consistently deliver optimal value to our clients from the base of our core promise – Values over Value.